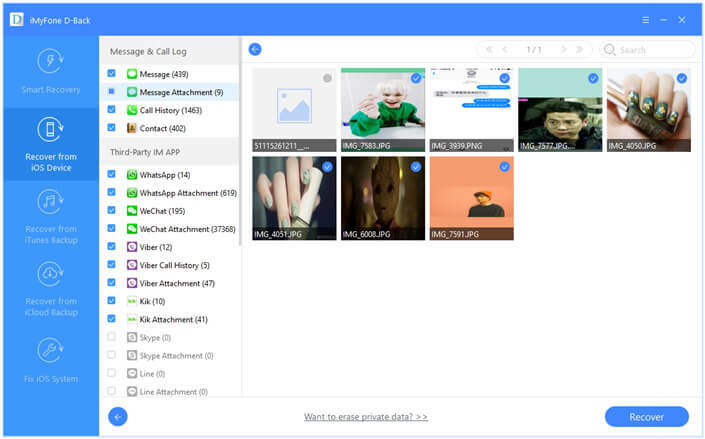 Have you received a lot of videos or photos as an attachment on iMessage and want to save them all at the same time? This messaging app allows users to actually save multiple videos and pictures in one go. You don’t have to spend a lot of time saving one video or photo at a time. Here we describe the easiest way to save multiple pictures and videos from iMessage. In fact, we are going to share with you two different ways to do this, one of them easier than the other. To save multiple pictures and videos from iMessage on your iPhone, follow thee very simple steps. Step 2: Tap on “Details” in the top right corner and then scroll down to fine “Attachments.” Press and hold on one of the pictures or videos you would like to save. Step 3: In the popup menu that appears, tap on “More” and then select the videos or images you would like to save and then tap on “Save Messages” in the bottom left corner to save them all. Another alternative would be to use iMyFone D-Back or iMyFone D-Back for Mac to save the pictures and videos to your computer. This iPhone data recovery program can be used to save all videos and pictures from your iMessages to your computer in just a few simple steps. This is also a great way to back up the videos and pictures to PC. The following are just some of the features that make iMyFone D-Back the best for the job. 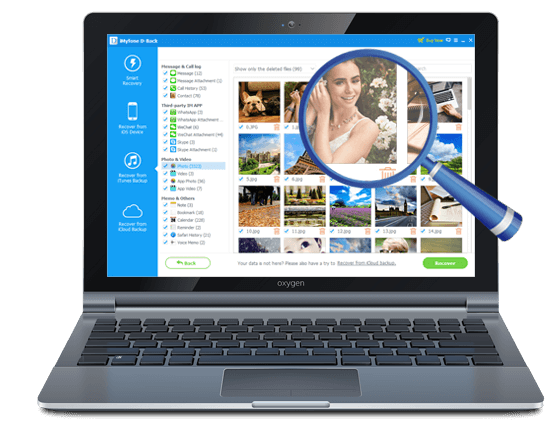 It allows you to retrieve up to 22 different types of files from your iPhone, iTunes backup file or iCloud backup file such as text messages, photos, videos, contacts and more. 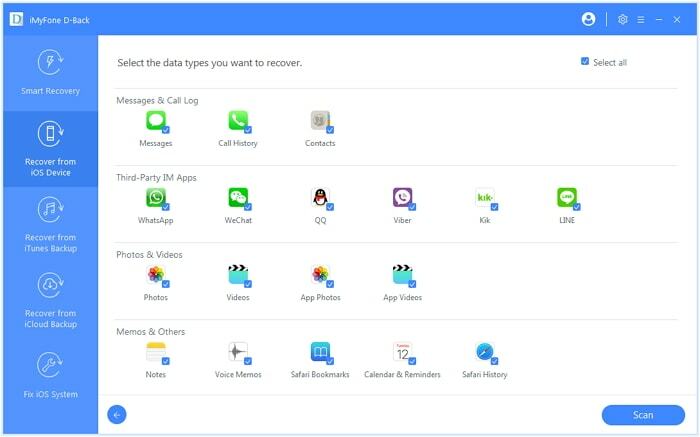 You can use to quickly and easily recover deleted or lost data in a few simple clicks regardless of how the data was lost in the first place. The unique preview function allows users to select the type of data they want to extract or recover before export, giving users the unique ability to extract data selectively. 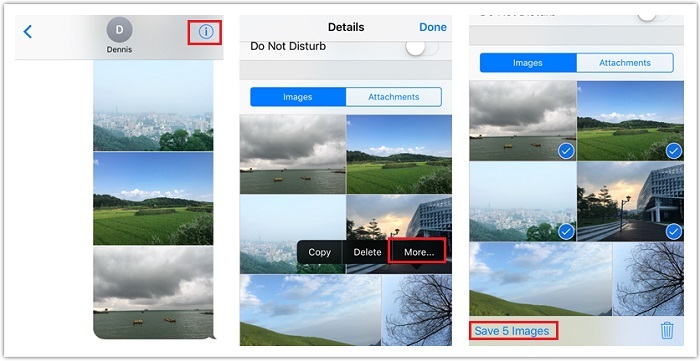 The following is a simple step by step tutorial to help you save multiple picture and videos from iMessage using iMyFone D-Back. Download and install the program to your computer and then launch it. 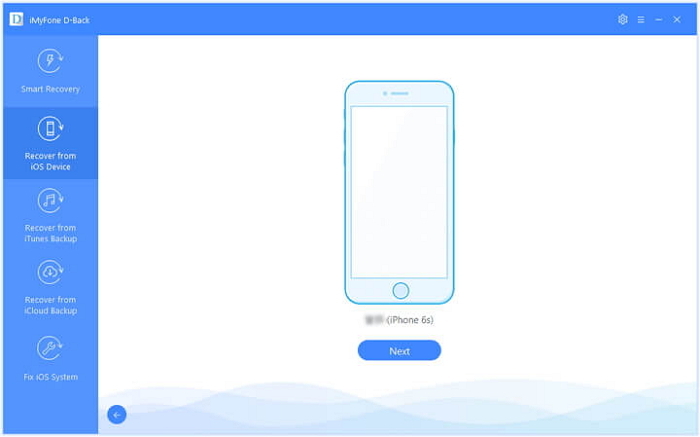 Click on “Recover from iOS device” and then click “Start” to continue. Connect the iPhone to the computer using USB cables and once the program recognizes the device click “Next” to proceed. From the next window, select “Messages” and then click “Scan” to continue. Step 3: Once the scan is complete, all of the iMessages and their attachments will be displayed in the next window. Click on the iMessage attachments to find the videos and pictures you want to save and then click on “Recover” to save them to your computer. Download and install iMyFone D-Back or iMyFone D-Back for Mac to save mutiple attachments from your iPhone.